Mercedes-Benz SLC has stolen the spotlight these days. But it’s not all about the new name and the fresh range of engines. How about an eccentric Shooting Brake variant? Hungarian designer X-Tomi is quick to give us a first glimpse at how such a dream car could materialize. Unofficially, X-Tomi Design wanted to envision a more practical SLC, let’s say, a family-oriented sports car. However, we didn’t expect to fall in love with how good the smallest Mercedes roadster looks as a Shooting Brake. Unfortunately, the SLC will remain strictly as a two-seat roadster in the immediate future as well, an info confirmed by Mercedes-Benz officials. 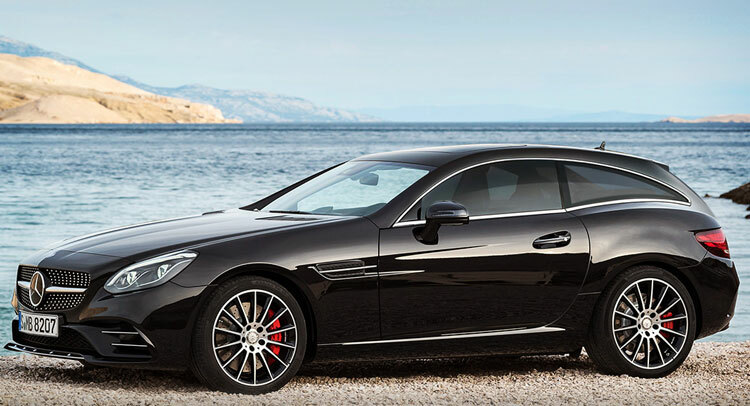 This projects the prospect of a real SLC Shooting Brake as an even more far-fetched idea. Then, we won’t bother to compare this render to BMW’s legendary M Coupes and we will simply let you decide if the final design is worthy of any attention.